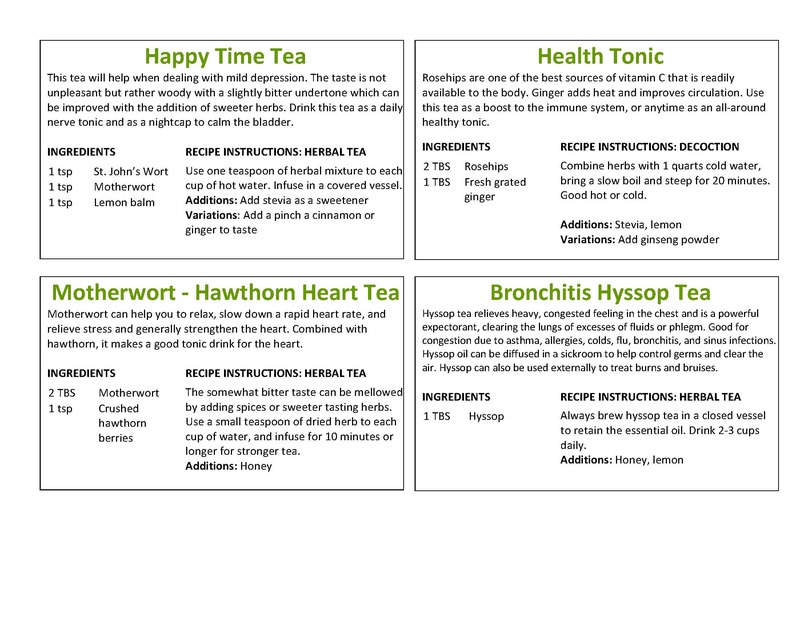 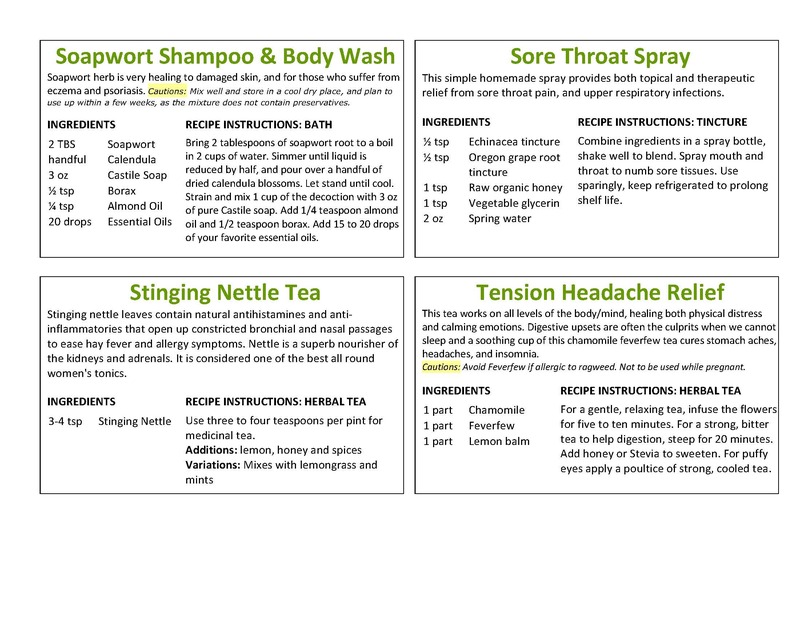 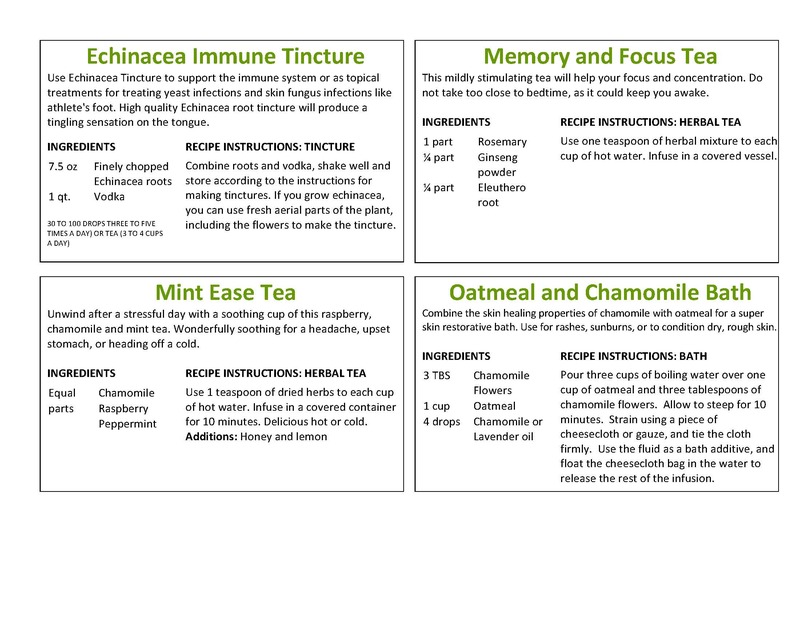 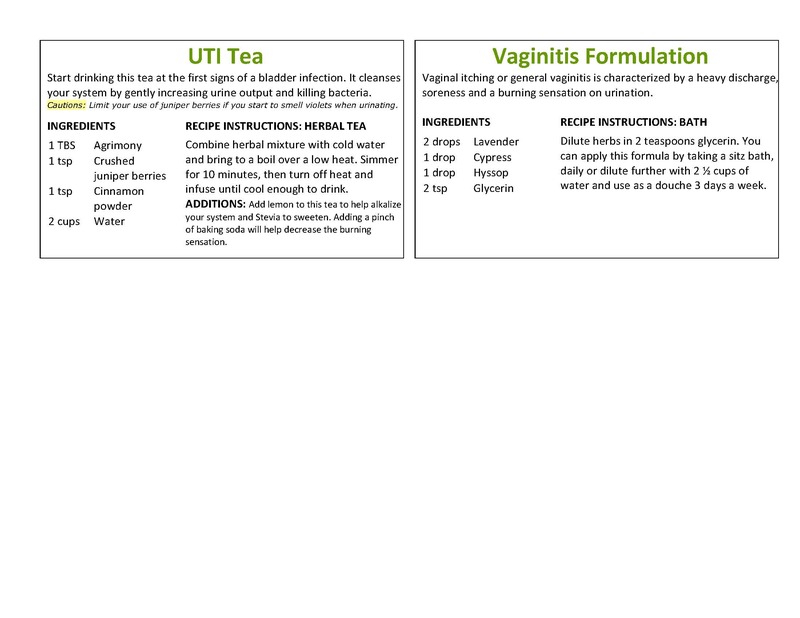 I created these recipe cards as a way to access my herbal remedies quickly and easily for creating tinctures, salves, teas, and syrups for many common ailments. 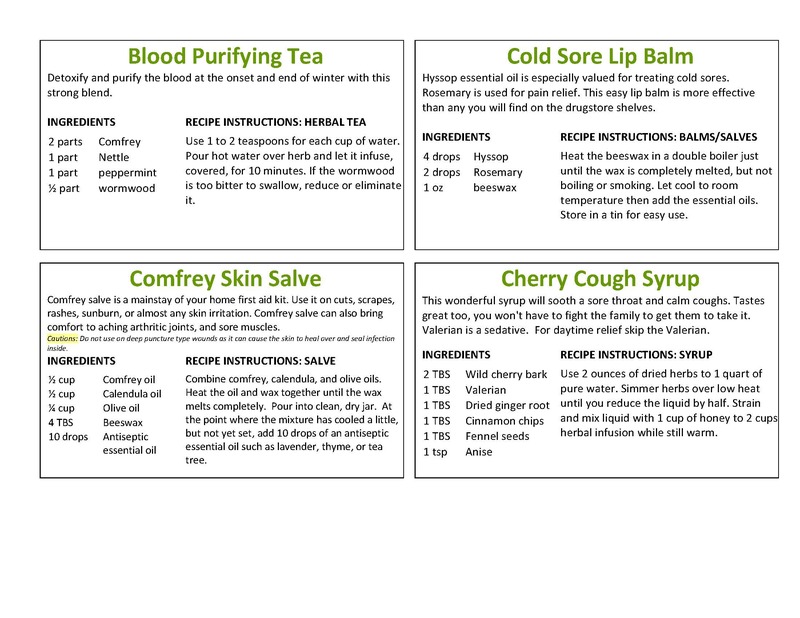 They can be printed, laminated and stored in a 3×5 index card box. 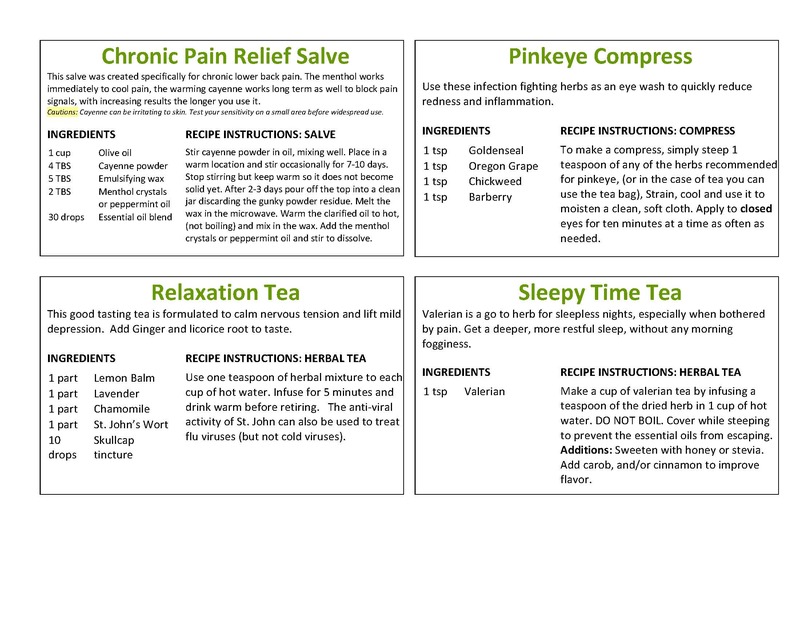 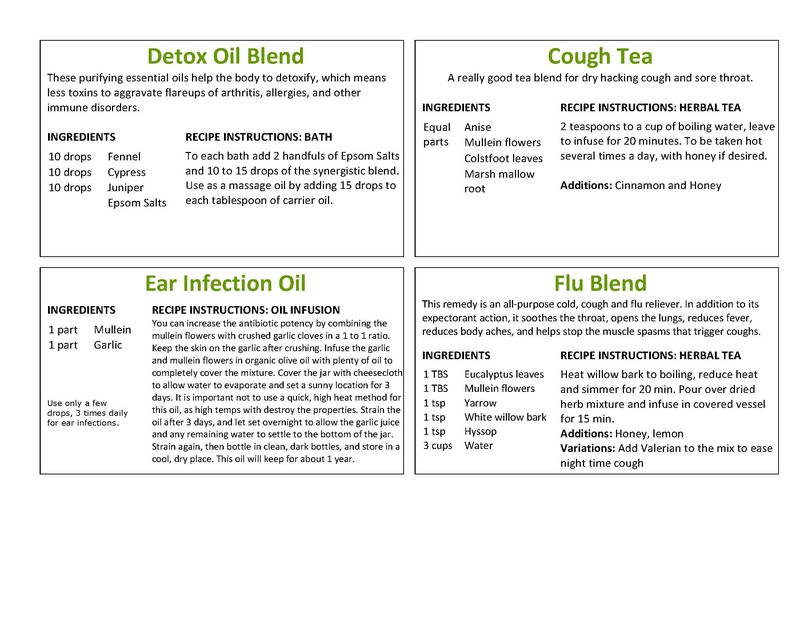 I’ve had many people ask about these cards so I decided to post them here so you can print them up to create your own herbal recipe box.